Author Laurel Snyder and illustrator Emily Hughes are the 2018 recipients of the Theodor Seuss Geisel Award for “Charlie & Mouse,” published by Chronicle Books. The award was announced today by the Association for Library Service to Children (ALSC), a division of the American Library Association (ALA), during the ALA Midwinter Meeting & Exhibition held Feb. 9–13, in Denver. 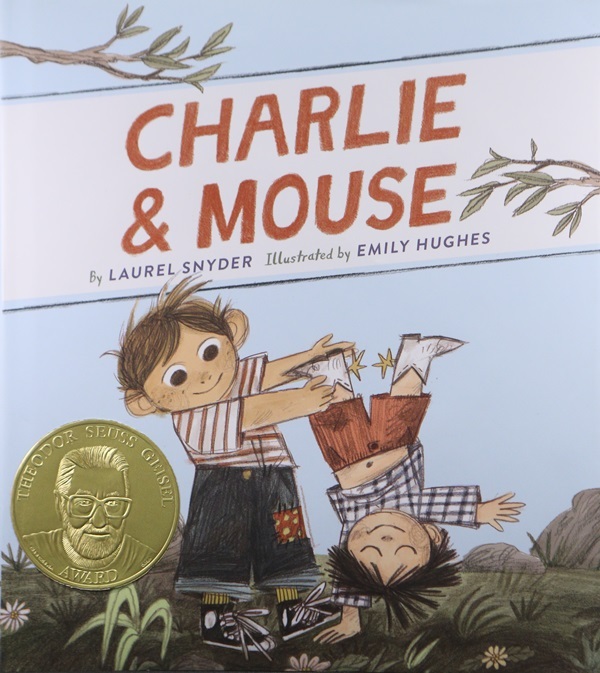 The Theodor Seuss Geisel Award is given to the author(s) and illustrator(s) of the most distinguished American book for beginning readers published in English in the United States during the preceding year. The award is named for the world-renowned children’s author, Theodor Geisel, a.k.a. Dr. Seuss. Award winners are recognized for their literary and artistic achievements that demonstrate creativity and imagination to engage children in reading. Award and honor book recipients will receive their awards in New Orleans, during the ALA Annual Conference in June. “Through authentic dialogue, thoughtfully repeated phrases, and distinctive illustrations, every reader will know that they too are invited to the party,” said Geisel Award Committee Chair Sandra J. Imdieke. This entry was posted on Tuesday, March 6th, 2018 at 8:48 am	and is filed under Blog. You can follow any responses to this entry through the RSS 2.0 feed. You can leave a response, or trackback from your own site.